To really know and understand a culture means tasting it with all your senses. And there is no better way to do it than to go out on the streets, to attend festivals, to mix up with the locals and catch up with the local vibes and to share the endless life stories over a delicious meal and a nice and cold glass of home-brewed beer. Bratislava is a land of such little culinary getaways that will pamper all of your senses. Below are a few culinary tried&tested incentive ideas to enrich your trip to Bratislava. This regular Street Food Park organized in front of the Old Market Hall is an ideal occasion for a casual get together with friends and have a tasty meal. The food trucks and gourmet stalls offer some local culture and prepare a bite of something tasty and amazingly smelling in front of your eyes. Lyra Chocolate is an amazing example how one needs to get up after every fail – and how every fail makes us stronger and better. In addition, if you truly believe in your dreams and your product you might reach for the stars. At least Lyra Chocolate did reach of to the stars, wrapped in a delicious journey of a chocolate. Since 2012, Lyra has stood for the highest quality handmade chocolate made in Slovakia. 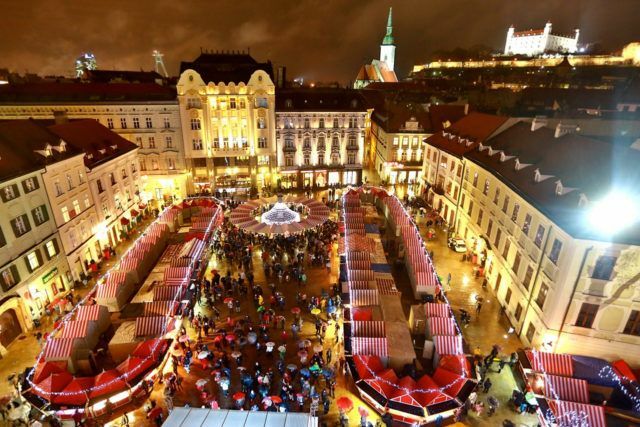 For all the beer lovers, a Craft Beer Festival will take place in the Old Market in Bratislava. The festival is already a tradition among the beer enthusiasts – last year 80 small breweries presented around 400 different kinds of beer. Each brewery will for the first time offer at least one premiere of its new beer, that you didn’t get the chance to try in Slovakia before. When visiting Slovakia, Karpatske Brandy is a must try for those who appreciate a quality brandy. The Slovak brandies vary from poor to excellent. Karpatske brandy is an icon among quality Slovak spirits, appreciated by domestic and international brandy lovers. Interview with Ms. Beata Vlnková, sommelier and President of the Association of Sommeliers of the Slovak Republic explaining about the Small Carpathians, just a 30 minutes drive from Bratislava, the world-famous wine region, where you can visit a lot of wonderful wineries and taste many great wines. About that and many more….